If you plan on visiting New York City, one part of town you must find time to visit is the South Street Seaport located in the borough of Manhattan. 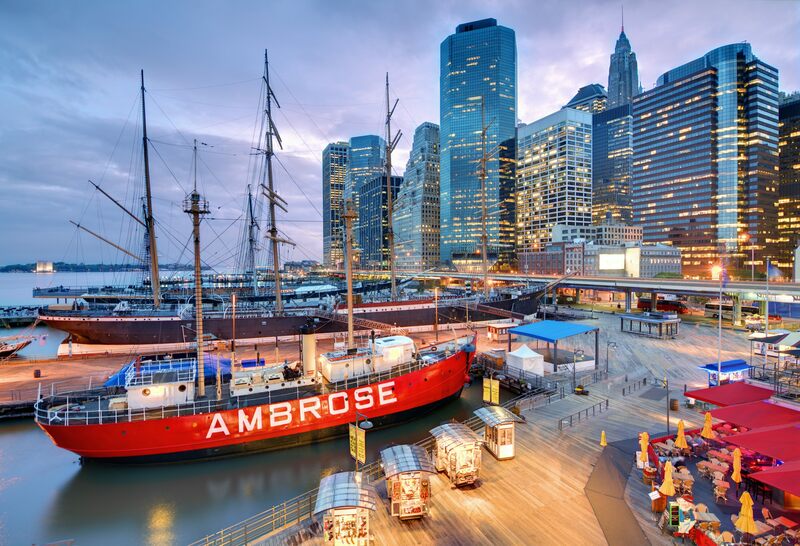 You could spend days on Pier 17 at the Seaport and would constantly find new places to explore, countless nooks and crannies to get lost in, different foods to savor, and rich entertainment to delight in. The South Street Seaport is one of New York City’s treasures, and it has something there for everyone. It carries a unique history of merchants and fish markets that have been preserved over time and married with the contemporary cultural offerings of today. This historical area attracts thousands of people from all over the world each day with all that it has to offer; art, entertainment, fine dining, retailers, and a rich piece of New York City history await you there. For more information about the South Street Seaport, visit its full profile.